I am so excited about our new patterns and thought that each new style deserves it own individual post to showcase the details. I wanted a cute vintage inspired but modern dress that would suit a wide range of occasions. Not too cute, but not too vintagey, (not quite a proper word! ), not too formal with enough details to make it interesting to sew. 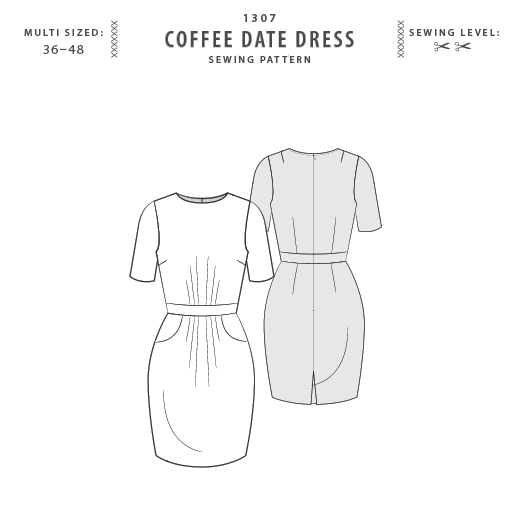 Voilà The Coffee Date dress. 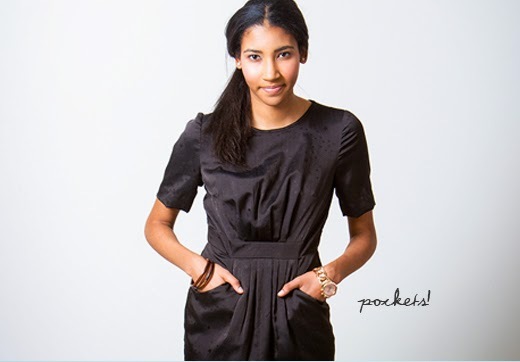 With a pleated front bodice and skirt, super cute pockets and a lovely fitted silhouette that finishes above the knee. We have keep the back of the dress quite plain, contour darts with all the attention on the cute and practical vintage style of kick pleat. This dress suits a range of fabrics from silks to everyday cottons and I can’t wait to sew up an everyday version in a gorgeous liberty style of cotton floral print. 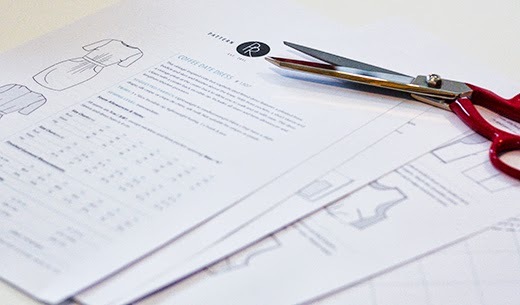 Our new patterns are all available for immediate download in our Boutique. Coffee Date anyone?